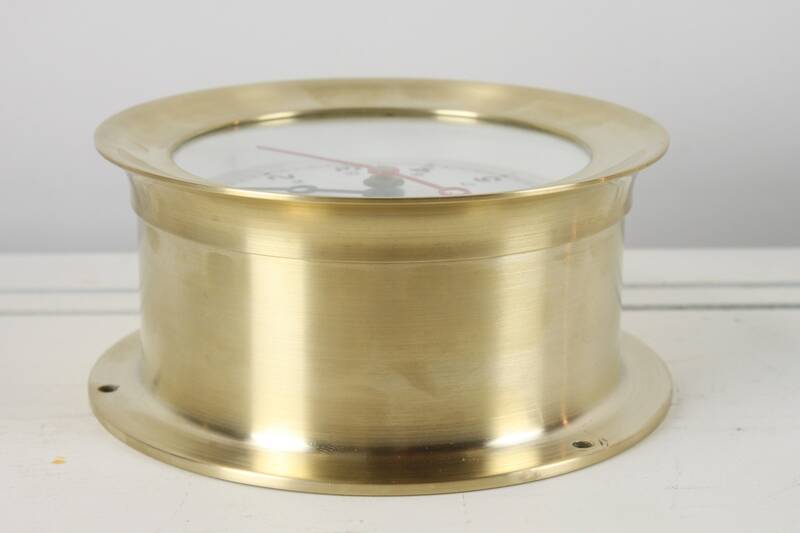 This amazing clock has all the quality and craftsmanship that one could desire from the Chelsea brand! 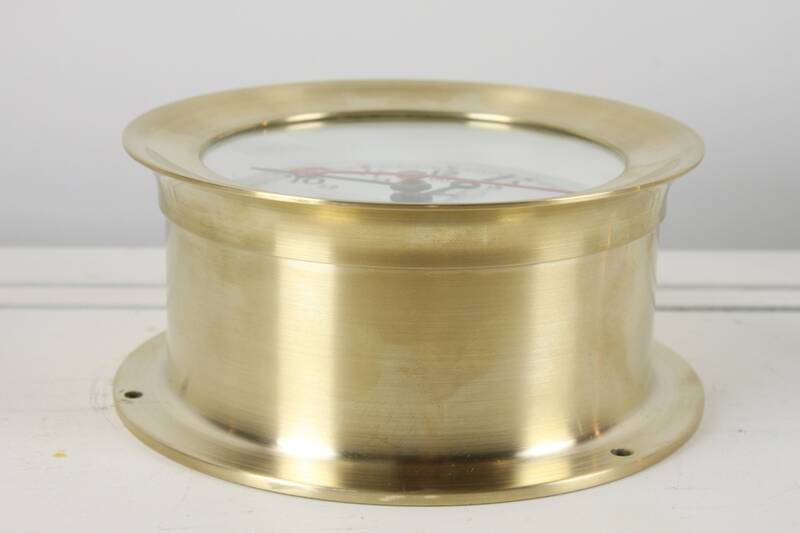 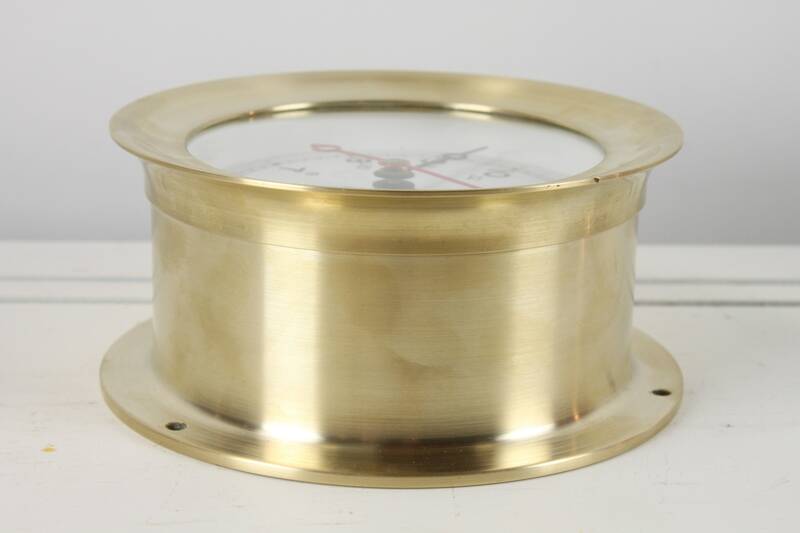 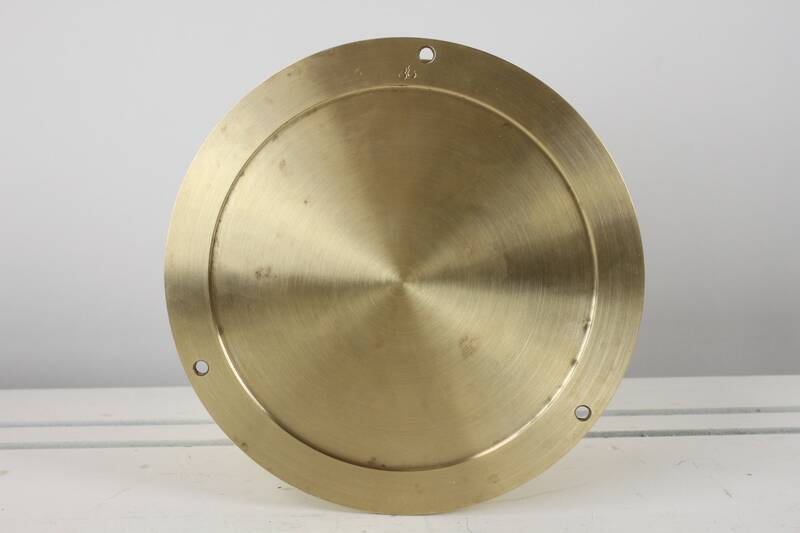 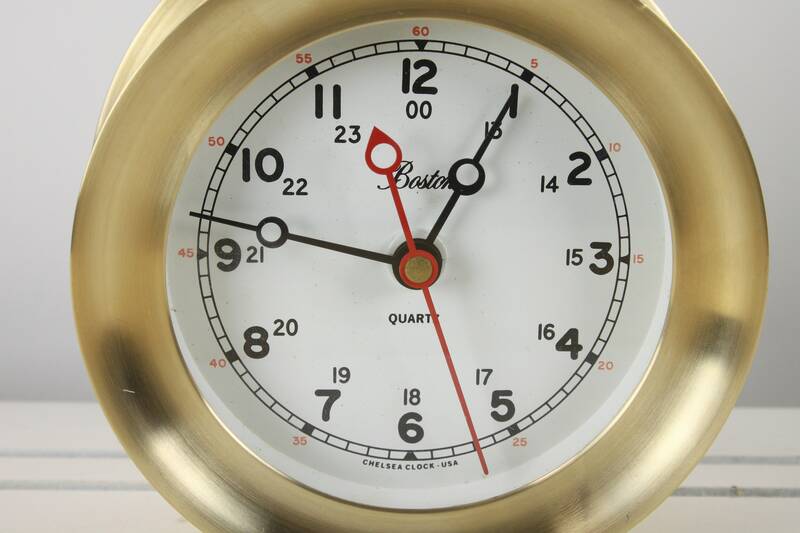 This Shipstrike clock features a 4.5" dial with both civilian and military numerals, A ticking second hand with corresponding numerals in red font and is presented in a heavy, brass case machined from solid brass. 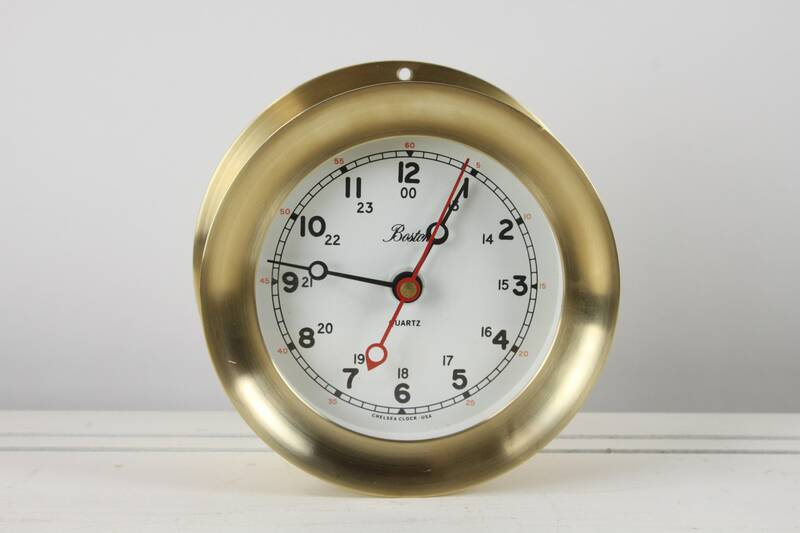 This clock features a German quartz movement for ease and convenience and has an easily removable bezel and dial. 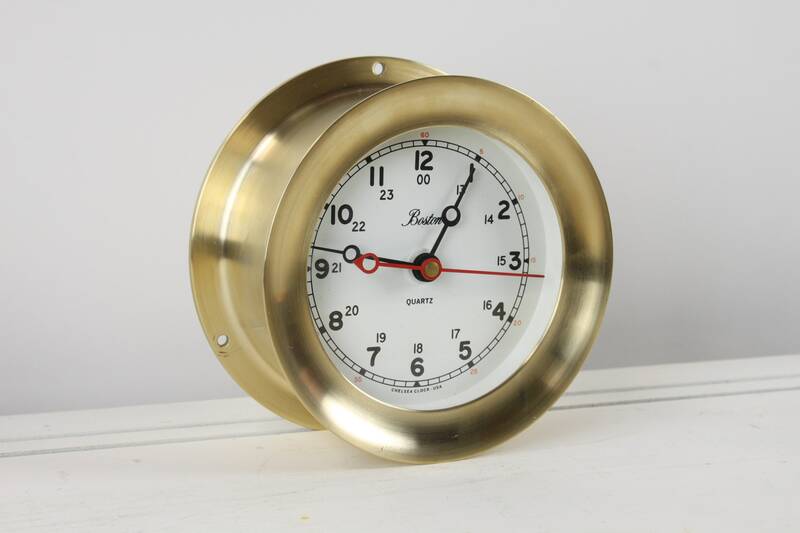 Mounted on a wall or placed in a stand this clock is sure to keep you on schedule in the classiest way possible!